These rushniks and tablecloths are nearly 100 (one hundred) years old. 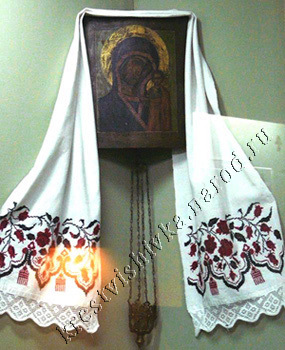 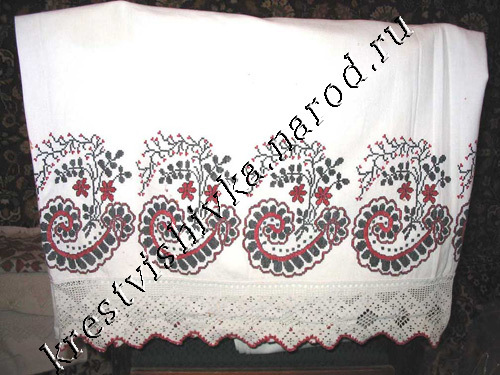 My great-grandmother Eudokia Karpinskaya (Shtaneneko) embroidered them. 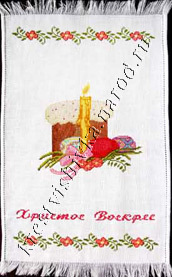 She lived to the age of 97 (years). 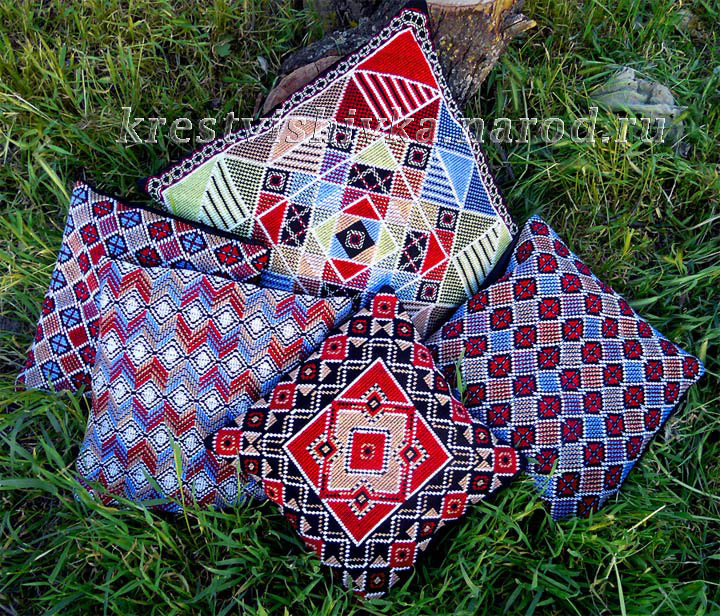 These rushnilks were taken to Wroclaw (in Poland) for the exhibition. 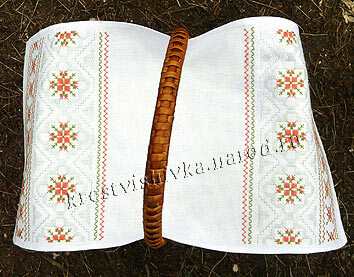 By clicking on the image you may have a larger view of the rushnik. 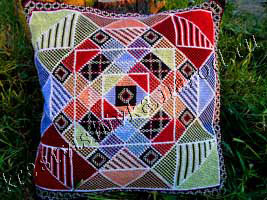 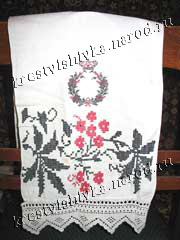 We are take orders for embroidery rushniks. 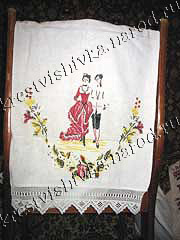 Cross-stitch embroidery №13 Rushnik "Ornament - colour"
№16 Rushnik Snowball-tree - oak"
№18 Wedding rushnik "Advice and love"
the back side №20 Rushnik "Rose-Oak"
№26 Rushnik "Ornament - red and black"
When using the photographs of the site the link to the site is obligatory! 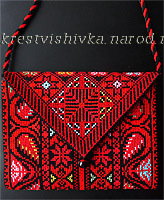 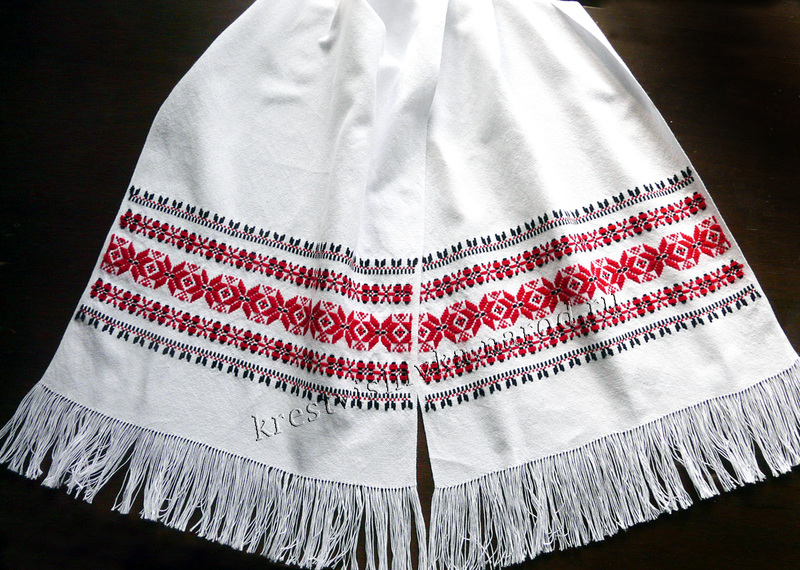 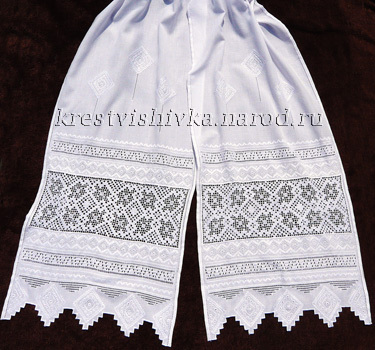 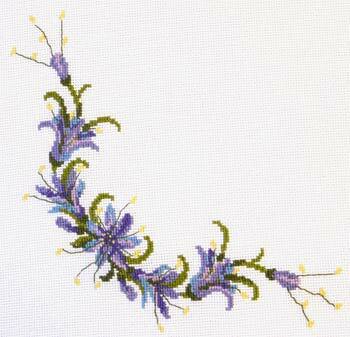 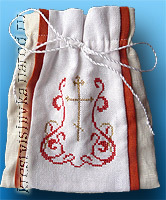 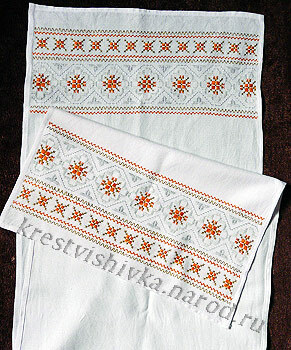 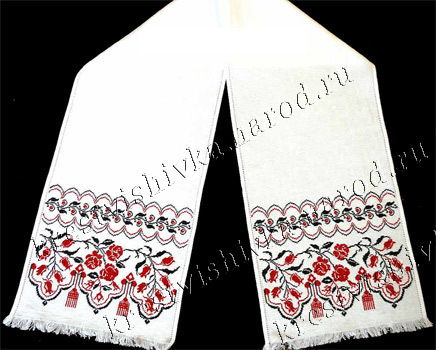 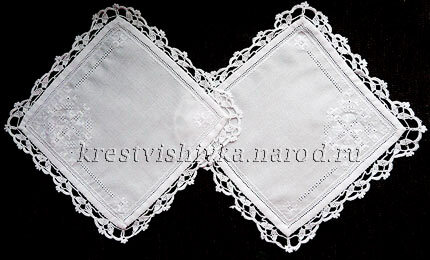 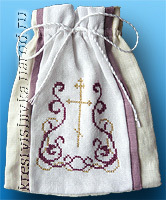 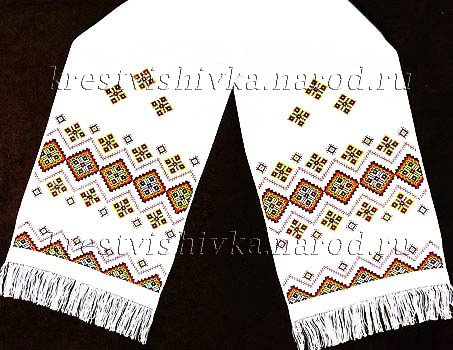 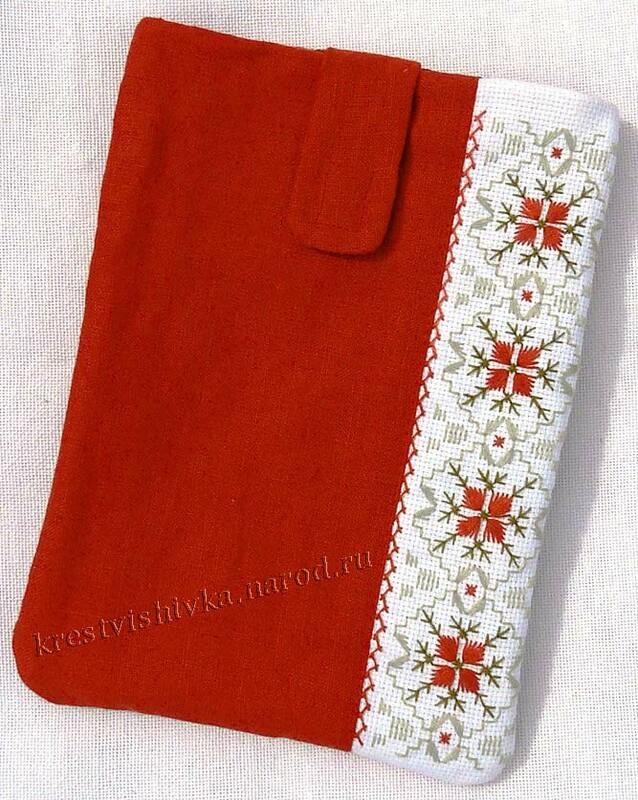 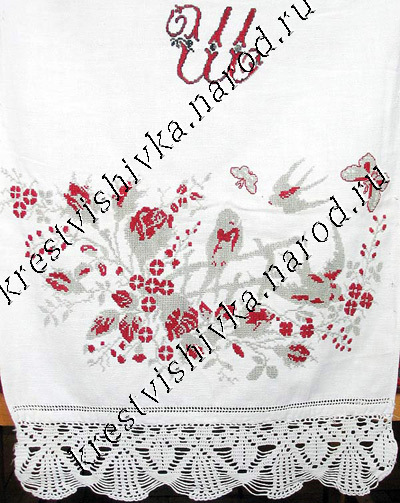 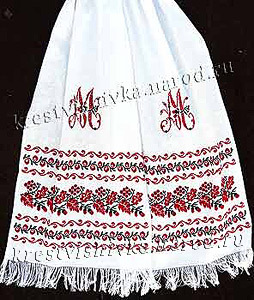 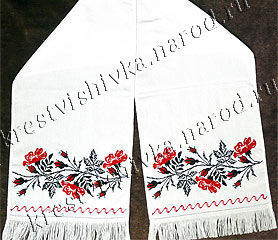 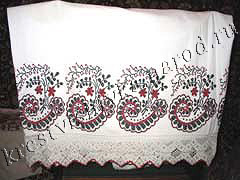 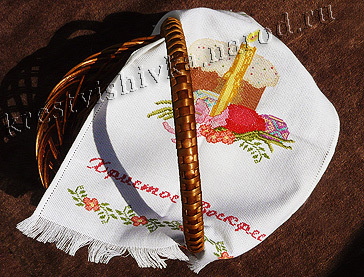 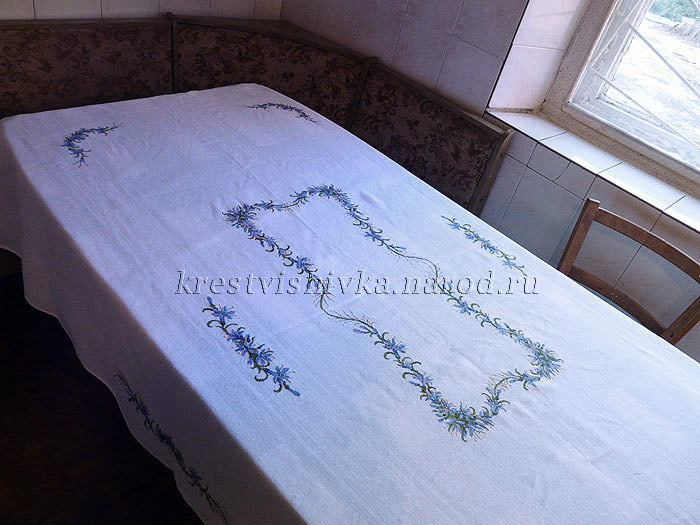 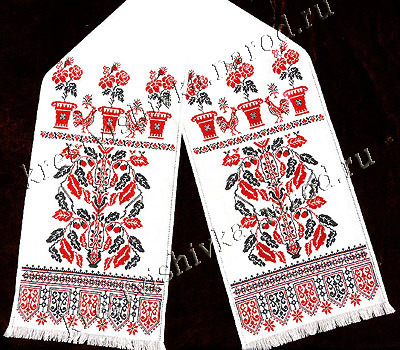 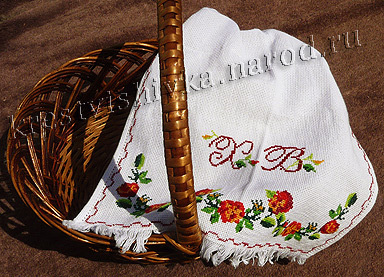 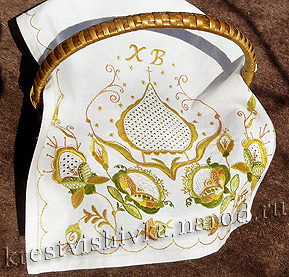 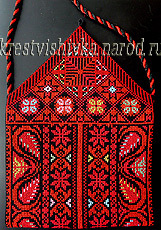 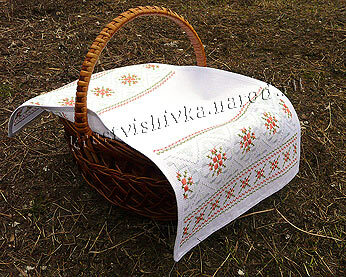 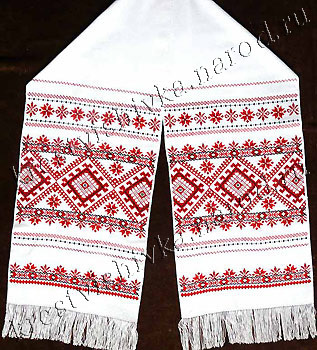 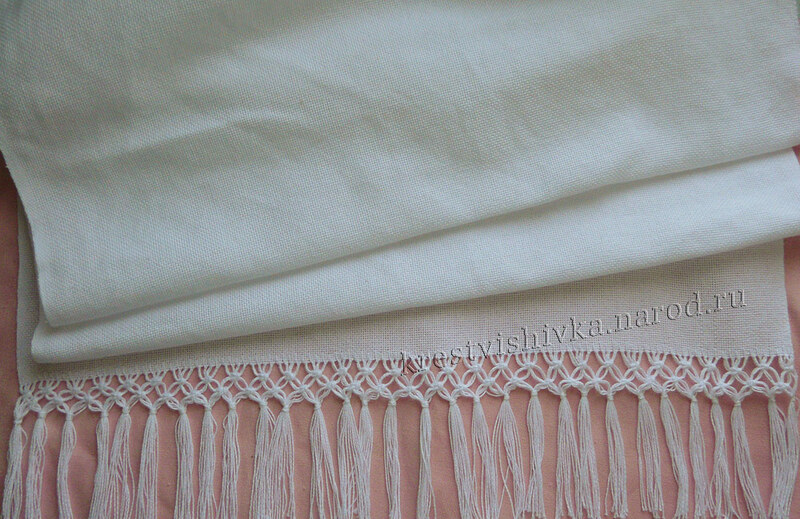 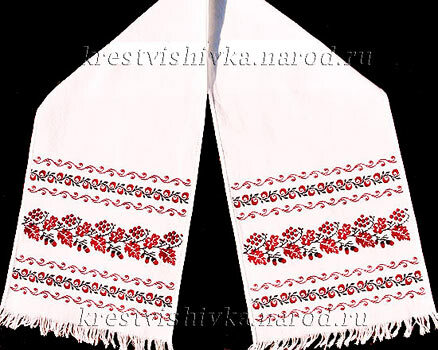 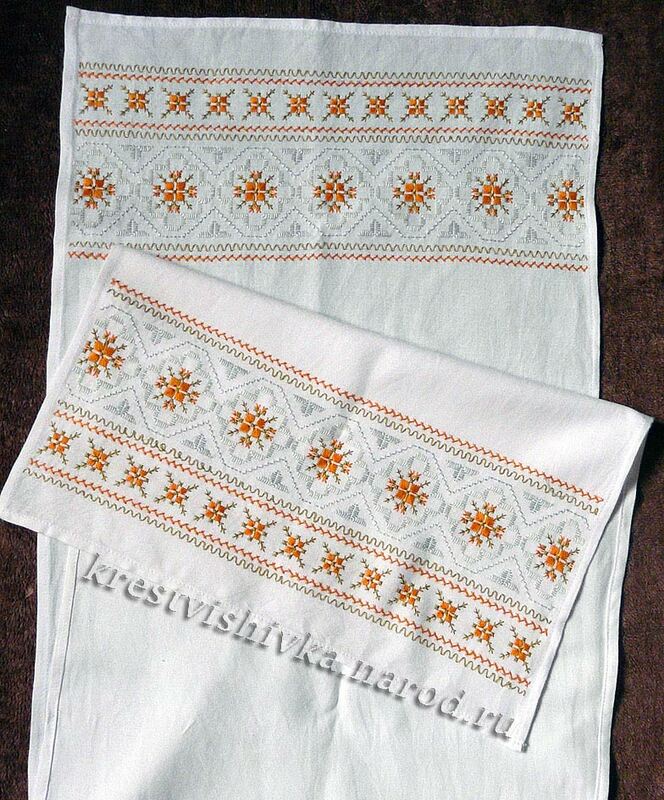 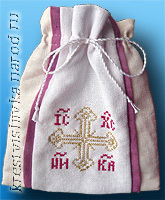 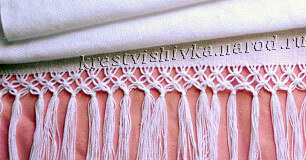 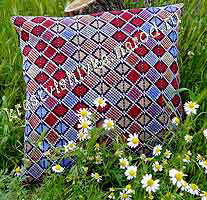 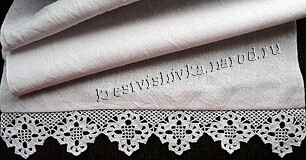 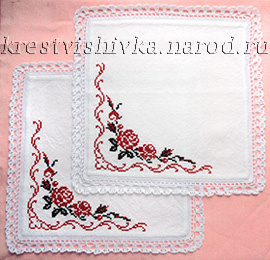 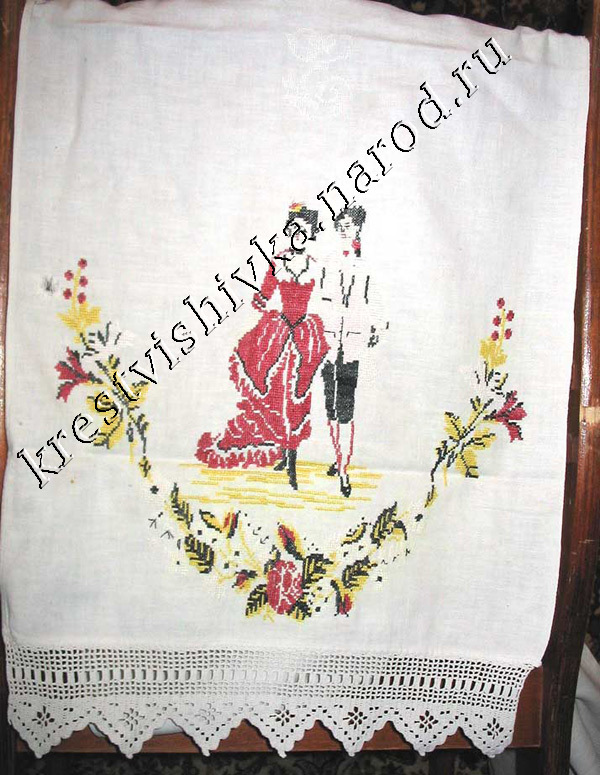 For the wedding the name rushnik can also be embroidered, for example, like this one. 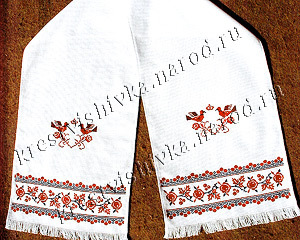 the towel has the two different sides: the groom side and the bride side. 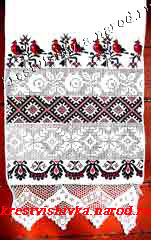 The peacocks on the first floor guard the family tree (the tree of the kin). 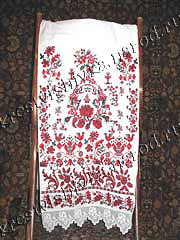 On the second level there are the wishes and the symbols of the groom and the bride. 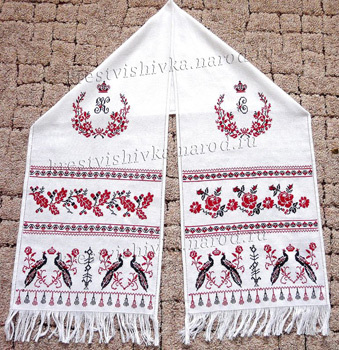 The lily is a symbol of purity and immaculacy. 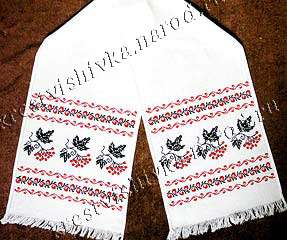 The grapes symbolize abundance. 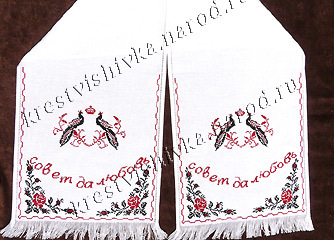 In the space between the birds the tree of the kin (or the family tree) is embroidered, which contains encoded information about the parents, the grandparents, the brothers and sisters of the groom and the bride, living or deceased. 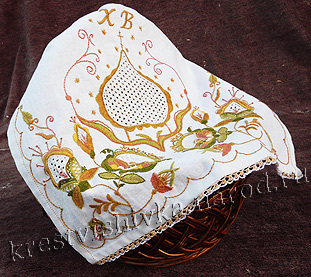 Hop is close to the symbolism of water and of grapes, representing youth and love. 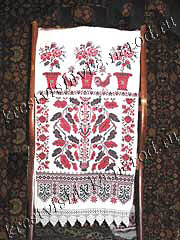 It may be observed that hop design is one of betrothal. 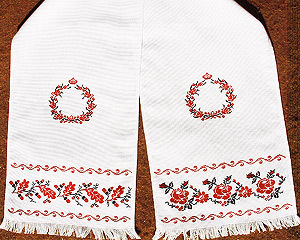 Designs similar to hop are related to young people. 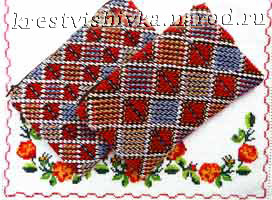 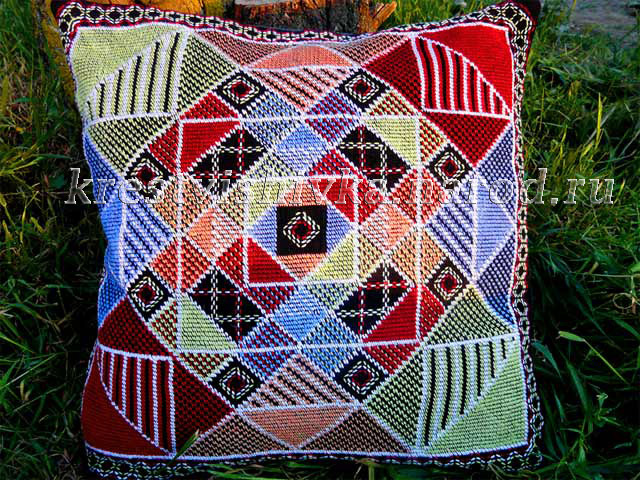 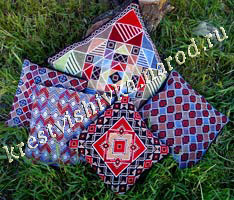 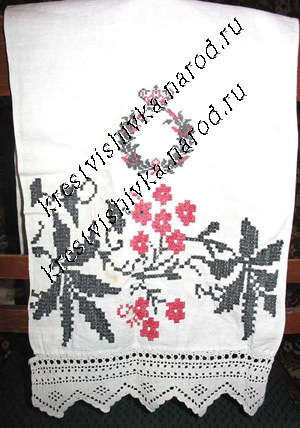 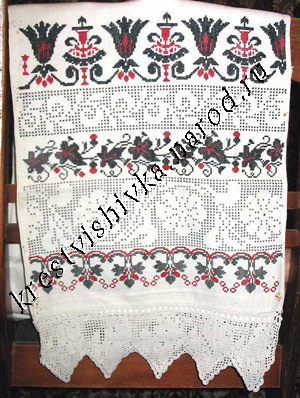 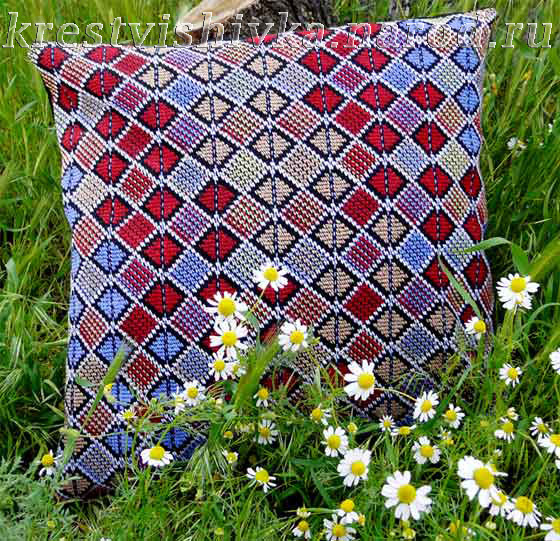 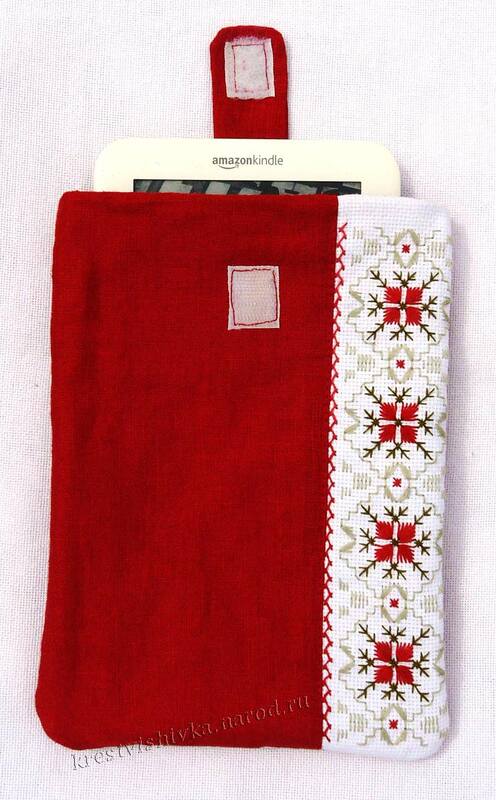 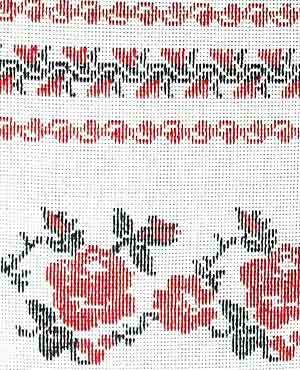 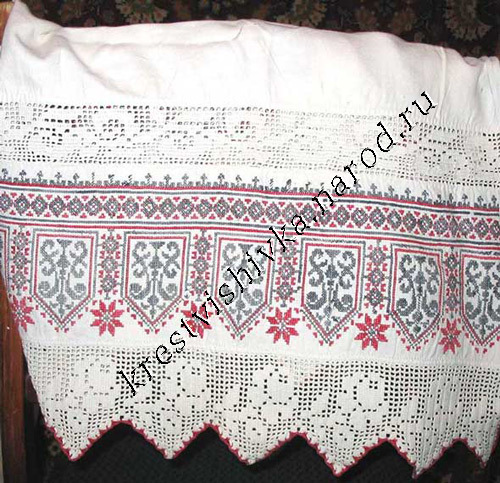 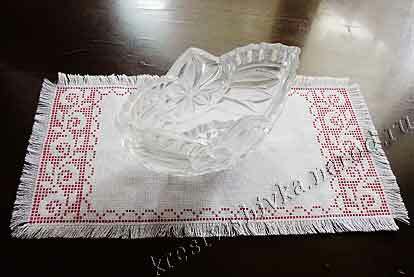 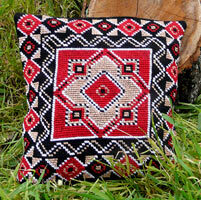 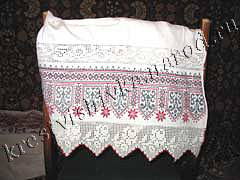 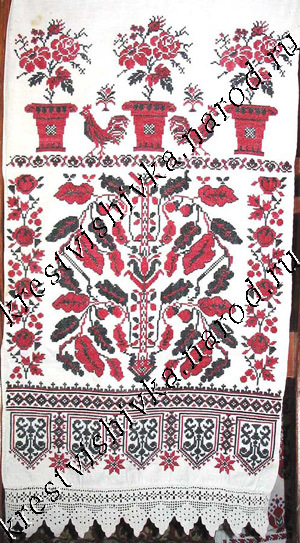 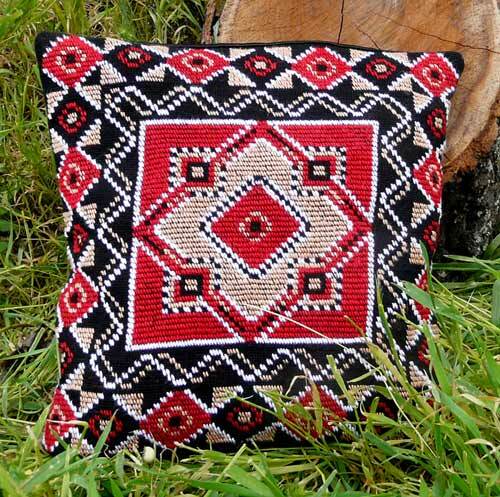 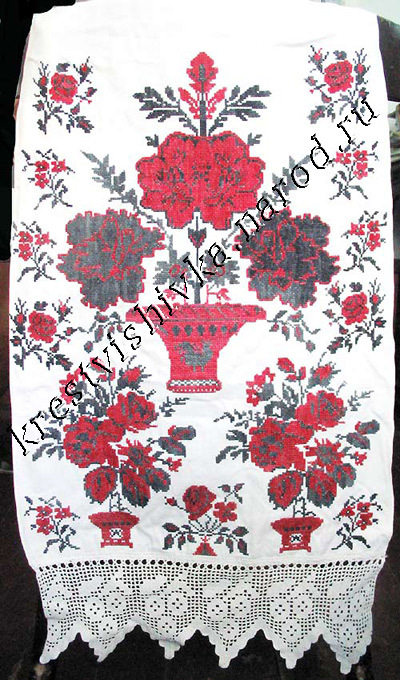 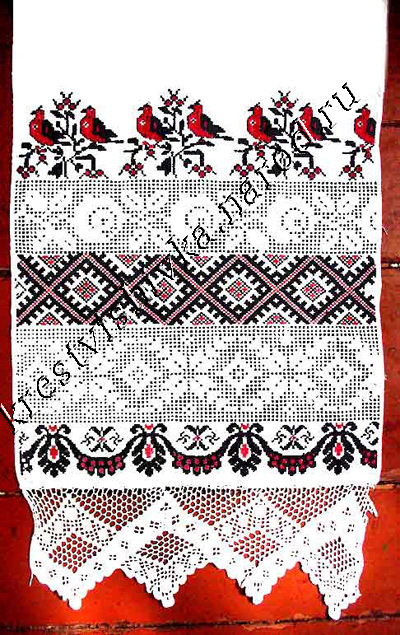 Nightingale and cuckoo are knitted on girls’ cloth (rushnik) . 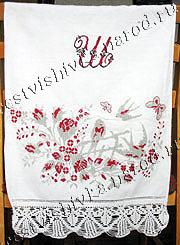 Frequently these birds are depicted on a branch of guelder rose, which means continuation of generations. 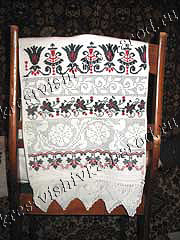 Peacocks are very important, they sit on betrothal rushniks and frequently have a garland or a wreath beneath. 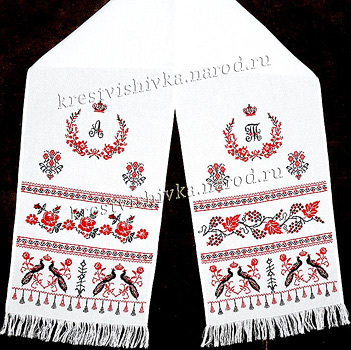 Peacock- is a Fire-bird, carrying solar life energy within itself, that’s why it represents a family happiness. 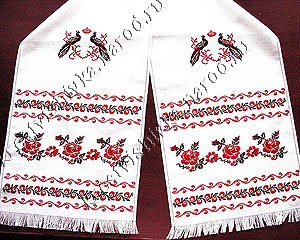 Swallow is bird-carrier of good news. 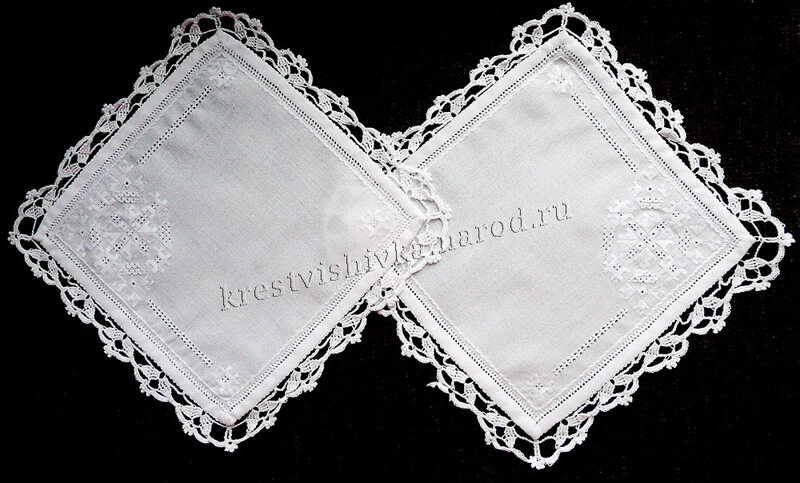 She takes care that a person won’t miss good timing for creating a family and establishing household.